Both research and clinical experience tell us that not only is adult mental health strongly affected by problems in people’s relationships but relationship difficulties between parents can have a considerable impact on children’s mental health. In the last year or so, separate surveys have shown that 1 in 5 couples are in ‘distressed’ relationships and that ‘family relationship difficulties’ is the most common reason why children present to mental health services. Given these statistics, we were surprised to discover – when we received the results of a YouGov poll we had commissioned regarding public attitudes to couple therapy – that 64% of people in long-term, committed relationships believed they would be unlikely to seek help from a couple counsellor if their relationship were in difficulty. 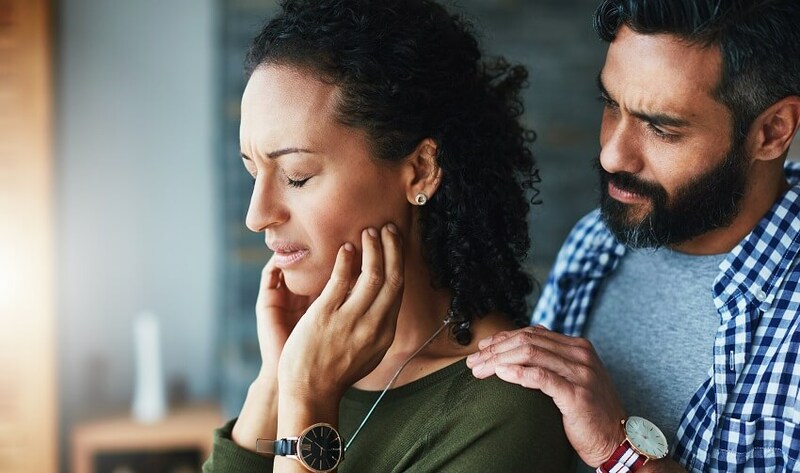 Arguably, couple therapy is where the issue of mental health was a few years ago, where the stigma that surrounded it kept many people from getting help and left them suffering in isolation. Maybe our poll has uncovered one of the last great public health taboos: the idea that seeking help for a relationship that is in trouble, where partners are struggling with conflicts they cannot resolve, is in some way so difficult or so unlikely to work, that it’s better to struggle on alone. However, the idea that couple therapy doesn’t work is simply not true; we can point to strong, converging evidence from many studies demonstrating that couple therapy can be very effective. For example, we recently undertook the largest naturalistic study of couple therapy ever published, which showed the effectiveness of couple therapy in improving both the couple’s relationship and also the psychological wellbeing of the partners in the couple. While the national IAPT dataset continues to show that Couple Therapy for Depression is by some margin the most effective of all approaches amongst all the IAPT services. Our own experience shows us that therapy can help couples to change repeating patterns of negative behaviour, decrease conflict and improve understanding and communication, with consequences for their psychological health and wellbeing – and that of their children. It’s important that we get this message across because over a third of those surveyed said they would be more likely to try couple therapy after hearing about the evidence of its effectiveness, particularly in relation to improving their own or their partner’s mental health concerns, improving their family life and improving their children’s quality of life. I suggest it’s time to start a national conversation about couple therapy. It would be good to see more recognition among the public, and policy-makers, that relationship support can pay real dividends for the mental health of adults and children. We are campaigning to challenge the barriers and taboo, to encourage couples experiencing difficulties with their marriage or partnership to find professional support from a relationship counsellor or therapist. We are glad to see more discussion about the role relationships play in individual and family wellbeing and are keen to point out that help is out there. Lets #talkrelationships. Tavistock Relationships offers online or face-to-face help (in London). If you want to see someone in person outside of London you can also find therapists via one of the many available directories available online. A good starting point would be the websites of associations with members recognised and qualified in their field, eg. the BPC (British Psychoanalytic Council, which has registered couple therapists), the UKCP or BACP.